You’re probably familiar with the old “fox in the hen house” story, but what about when a hen joins the fox den? This is the case with the recent American Legislative Exchange Council (ALEC) meeting in Washington, DC. Leaked documents obtained by Greenpeace reveal that ALEC’s anti-environmental jamboree was inundated with coal money and featured an Indiana regulator advising coal utilities on delaying US Environmental Protection Agency rules to control greenhouse gas emissions and hazardous air pollution. 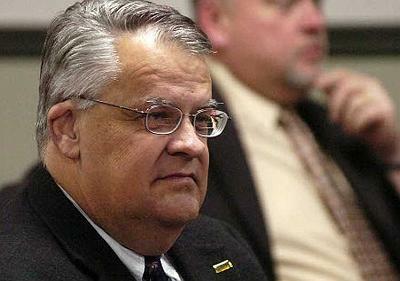 Tom Easterly has never acted in the interests of Indiana citizens. 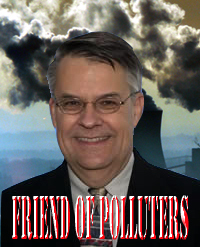 Instead, he counsels polluters on how to get around the rules in Indiana and elsewhere. Click to view contents of the ACCCE USB drive from ALEC’s 2012 States & Nation Policy summit.At ALEC’s coal-sponsored meeting, where state legislators and corporate representatives meet to create template state laws ranging from attacks on clean energy to privatization of public schools, Indiana’s Commissioner of the Department of Environmental Management Tom Easterly laid out a plan to stall the US EPA global warming action in a power point clearly addressed to coal industry representatives at ALEC’s meeting. In a USB drive branded with the logo of the American Coalition for Clean Coal Electricity (ACCCE), a folder labeled “Easterly” contains a presentation titled “Easterly ALEC presentation 11 28 12” explaining current EPA air pollution rules and how Tom Easterly has worked to obstruct them. The power points is branded with the Indiana Department of Environmental Protection seal. In the latter presentation, Easterly ended his briefing to ALEC’s dirty energy members with suggestions for delaying EPA regulation of greenhouse gas emissions at coal plants. Easterly’s presentation, which is posted on his Indiana Dept. of Environmental Mgmt commissioner webpage, even offered a template state resolution that would burden EPA with conducting a number of unnecessary cost benefit analyses (which the federal government has done through theSocial Cost of Carbon analysis) in the process of controlling GHG emissions. Click to see Tom Easterly’s full ALEC presentationThe template resolution Easterly presented to ALEC was created by the Environmental Council of States (ECOS), a group of state regulators that create template state resolutions similar to ALEC, often with overlapping agendas that benefit coal companies. ECOS has some questionable template state resolutions for an “Environmental” organization, including a resolution urging EPA not to classify coal ash as “hazardous.”Although its less regulated than household trash, coal ash contains neurotoxins, carcinogens and radioactive elements and is stored in dangerous slurry “ponds” that can leak these dangerous toxins into our waterways. ECOS’ work is sponsored by the coal fronts like ACCCE and the Edison Electric Institute (EEI), both sponsors of the ALEC meeting where Easterly presented the ECOS model resolution. See clean air watchdog Frank O’Donnell’s blog on ECOS for more. Easterly’s work, including his presentation to ALEC, is also promoted by the Midwest Ozone Group, a group whose members include ACCCE, American Electric Power and Duke Energy. Commissioner Tom Easterly’s suggestion of burdening EPA with tasks beyond its responsibility is concerning, as is his ongoing campaign to discredit the science of global warming–something he doesn’t have the scientific qualifications to do. To this end, the Indiana regulator fits nicely into the coal industry’s long history of denying problems they don’t want to be held accountable for and delaying solutions to those problems. The same processes applied to acid rain, a problem the coal industry also denied for years–check out Greenpeace’s collection of Coal Ads: Decades of Deception. Even before Indiana’s top enforcer of federal and state environmental regulations was advising coal companies on how to continuing polluting our air and water, it appears that denial of basic climate science was the state’s official position on global warming–Indiana’s 2011 “State of the Environment” report rehashes tired climate denier arguments such as global temperature records having “no appreciable change since about 1998.” (see why this is a lie) and referencing the “medieval warm period” as false proof that current temperature anomalies are normal (they aren’t, see Skeptical Science for a proper debunking). Similar arguments have apparently been presented by the Indiana government to ALEC since 2008–the ACCCE USB drive contains another Indiana power point created in 2008 full of junk climate “science.” This level of scientific illiteracy is concerning, especially for the regulatory body responsible for overseeing pollution controls for the coal industry. Political spending since 2007: AEP has spent over $46.2 millionon federal lobbying and $3.9 million on federal politicians and political committees. Peabody Energy: the world’s largest private-sector coal mining company, known for its legacy of pollution and aggressive finance of climate change denial. American Coalition for Clean Coal Electricity (ACCCE): a coal public relations front whose members include AEP, Peabody and other ALEC-member coal interests. ACCCE’s new president is Mike Duncan, former Republican National Committee chairman and founding chairman of Karl Rove’s American Crossroads. ACCCE spent over $12 million on advertising during the 2012 election to promote the fantasy of “clean coal.” ACCCE reportedly spent $40 million on TV and radio ads during the 2008 election and over $16 millionaround the 2010 election. ACCCE was caught up in a scandal when a subcontractor forged letters on behalf of senior and civil rights groups urging members of Congress to oppose national climate legislation. For more, see ACCCE on PolluterWatch. Edison Electric Institute (EEI): the primary trade association for electric utility companies, whosemembers include AEP, Duke Energy and numerous other members of ALEC’s energy/environment task force. The collective millions spent on federal lobbying and politicians went a long way for these five coal interest groups. Their lobbying goals included weakening 2009 climate legislation and working to interfere with US EPA rules to reduce coal pollution or greenhouse gases. All five of these groups have recently lobbied to prevent US EPA from controlling greenhouse gas emissions under the Clean Air Act. These five interests only represent a slice of the coal interests spending money in politics, and just a few players among many in the coal, oil, gas and chemical industries that dump millions of dollars into public relations campaigns telling us that climate change is not a problem. This article was originally published by Connor Gibson of Greenpeace at PolluterWatch.com. This entry was posted in Uncategorized and tagged air pollution, corporate corruption, environmental fraud, Greenhouse gas, IDEM, Indiana, Tom Easterly. Bookmark the permalink. 1 Response to Indiana’s Environmental Chief Easterly advises coal utilities on delaying greenhouse rules. 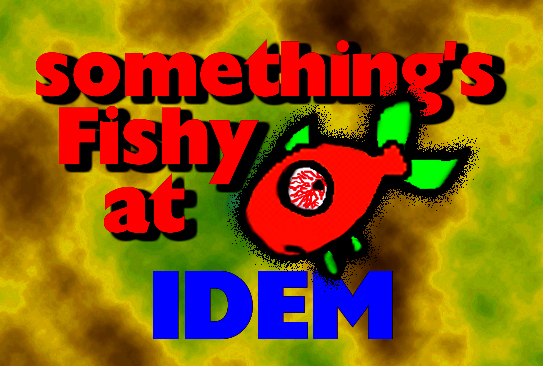 This only affirms our knowledge that IDEM has been doing a poor job of reporting for many years! After moving to Jacksonville, FL, I no longer use any asthma or allergy medication except for occasional eye drops and that is not allergy related. Now, nothing and have not taken allergy medicines for almost a year! I miss my friends, however I do NOT miss the air! This was a great piece reflecting your untiring efforts to “make a difference” and I greatly admire your work! Thank you for keeping me informed! P.S. you still have a free place to stay if you decide to take a vacation.